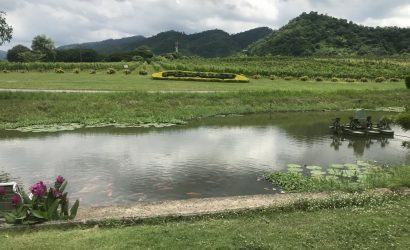 You can book your place on a tour that is in any of Thailand’s three main winemaking regions which are incredibly breathtaking. From Northeast Thailand to Khao Yai, you can also book a tour in the south of Thailand. With a vast range of choices available, you’ll have many tours to look at before making a final decision on where to go. By choosing Orbit Tours Thailand, you can book a tour that lasts for several days or just a couple of hours. If you’re travelling around Thailand, you can book numerous tours. Or, if you’re simply passing through, you can book a tour that visits one vineyard. Many wine tours can be a holiday in itself. With accommodation provided and a coach taking you from one vineyard to another, you can also make your own travel arrangements to each vineyard. So, why not take a look at our many tours that enable you to visit Thailand’s vineyards? You’re guaranteed a great time by picking Orbit Tours Thailand.